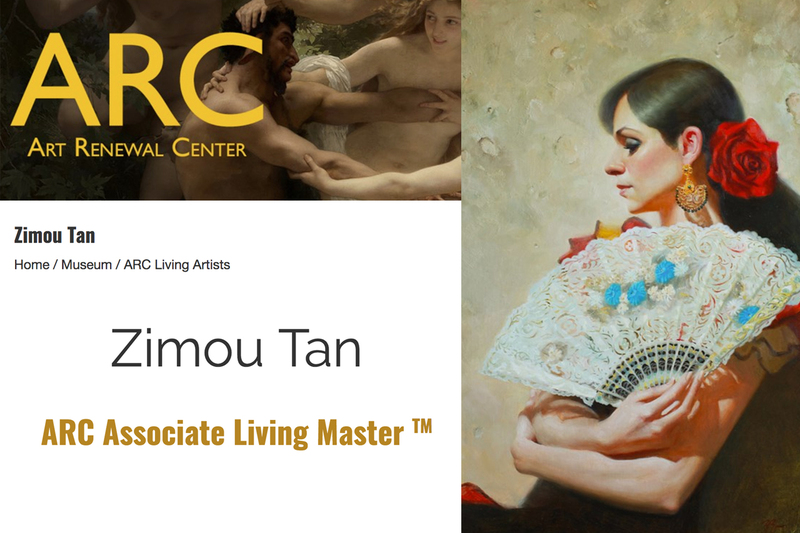 Zimou Tan, Associate Dean of the Olivet School of Art and Design, has been pronounced by the Arts renewal Center to ARC Associate Living Master™ (A.R.C.A.L.M. ), American 21st Century Realist. This high honor is the result of continuous prolific work output while taking on various teaching and administrative duties. Only realist artists of the highest level of achievement are announced ARC living masters. "It is a blessing and honored to receive the recognition from ARC, the Lord opened the door to allow me to serve and share my knowledge to more passionate art lovers," said Mr. Tan. Zimou Tan has also been named Artist in Residence for the 2018 Annual Meeting of the Association of Biblical Higher Education (ABHE), Olivet University’s institutional accreditor. He continues to instruct and provide artistic experience to Olivet School of Art and Design students residing at Olivet University’s Riverside Campus. Last year’s Annual Winter Show organized on campus with student and faculty work has been his latest project. The show was further enriched by additional artwork submissions from Creatio International, a Christian Artist’s fellowship partnering with the art college.